the best makes and models available on the market. 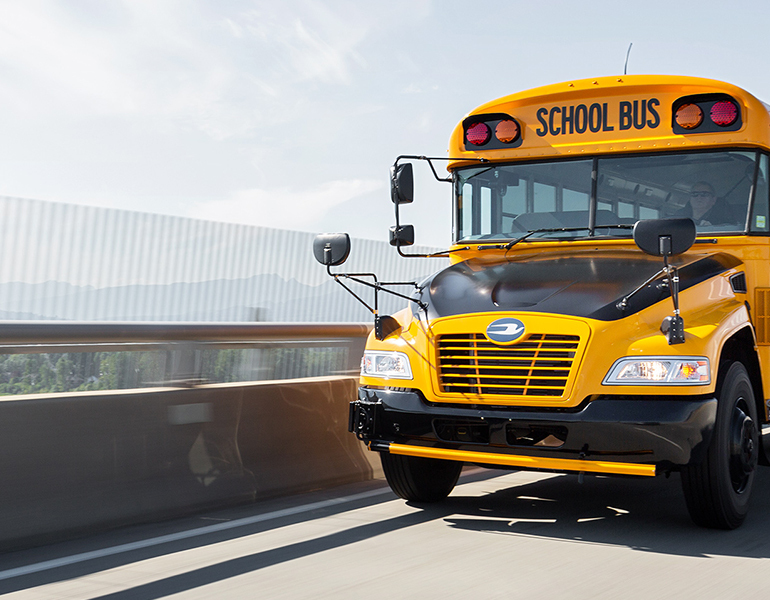 We have long-standing relationships with North America’s best bus manufacturers. 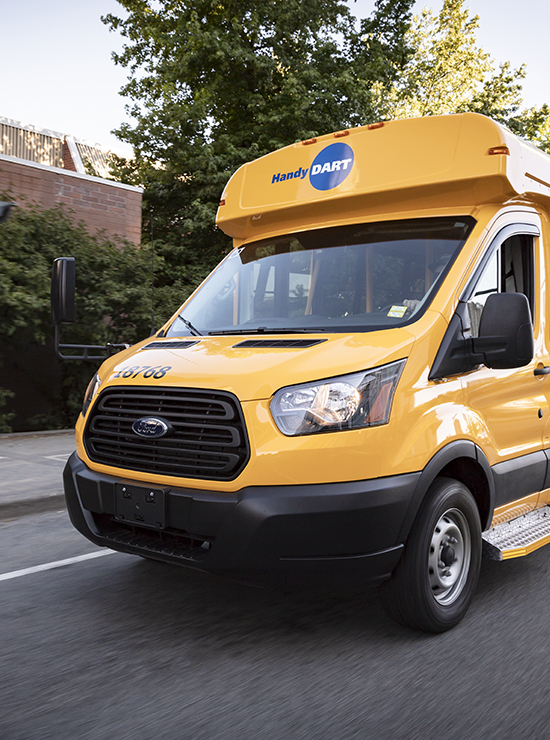 For over thirty years we’ve been supplying and servicing mid-sized buses for demanding industries, who simply cannot afford down time – including tour companies, care facilities, schools, and transit agencies. Many of Dynamic’s clients have been with us for close to three decades – we’ve earned their trust and it shows. 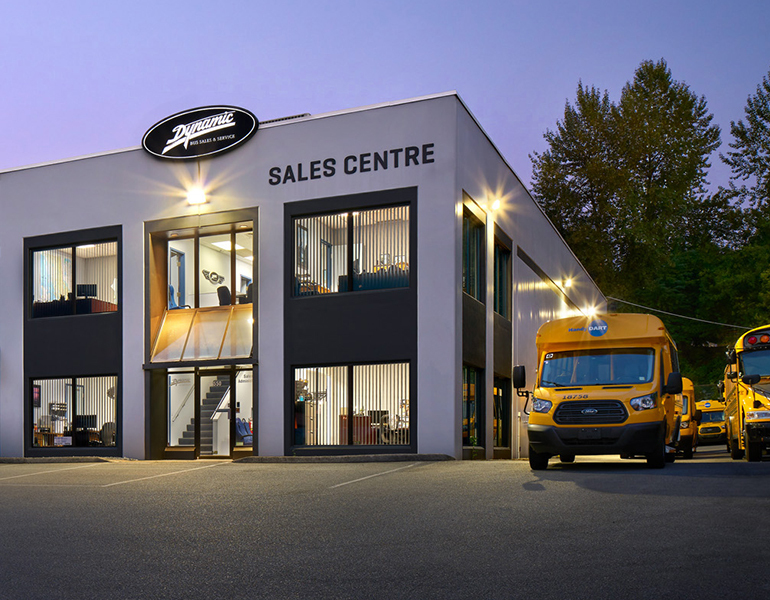 Dynamic has maintained long-term contractual relationships with BC Transit, Translink, BC Ambulance and major commercial bus companies across Western Canada. Dynamic fosters an environment of trust and collaboration among our staff. The Dynamic team is made up of long-term employees who work collaboratively on projects and stay with the company because they like working with talented, like-minded people. Fifty percent of our staff have been here for more than ten years. 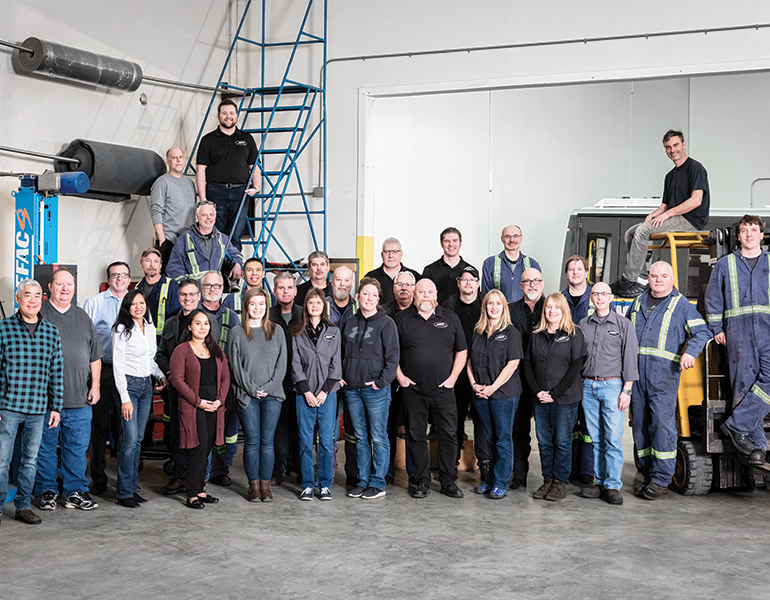 Together, our staff of 38 has accumulated more than 300 years of experience in this industry. “Any company can sell you a bus, but it is what happens after the sale that makes Dynamic stand out from other suppliers." 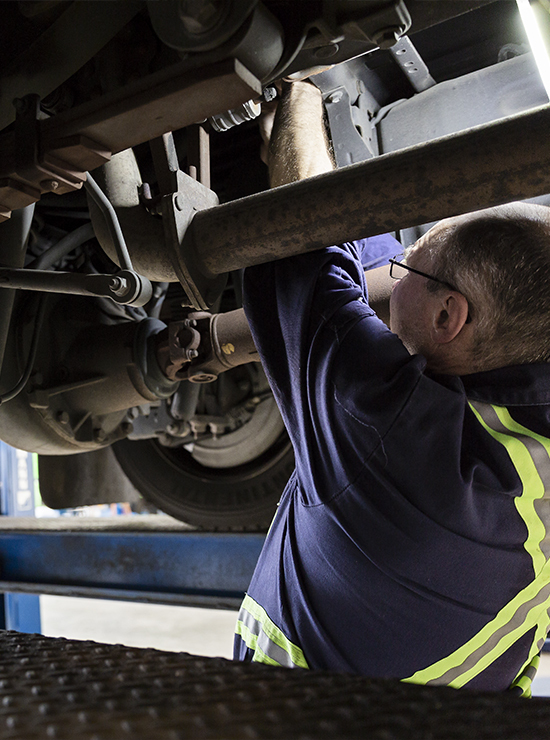 At our facility in Port Kells, BC, we have the technology, parts and staff onsite to address vehicle needs immediately. With over 40,00 square feet of space available to us, we have the ability to invest in new technologies and systems as they become available. As a result, our technicians are happy and our clients enjoy efficient service. 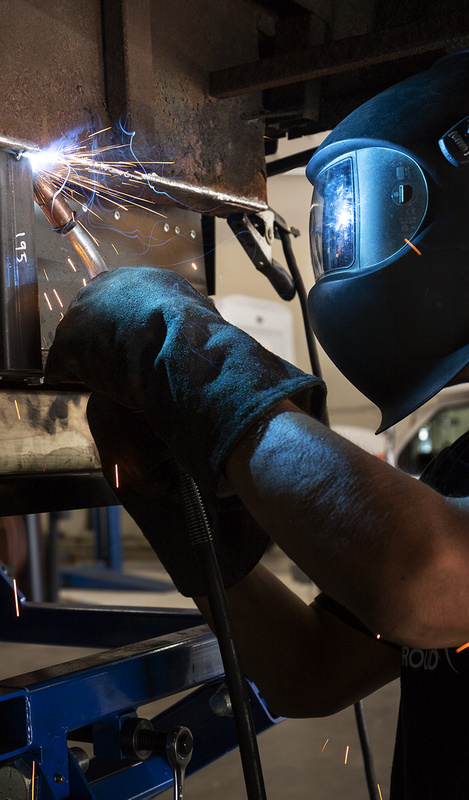 Our Edmonton facility is located on two and a half acres, and can accommodate up to 250 vehicles. We are conveniently located off Highway 16 and Anthony Henday Drive in West Edmonton. 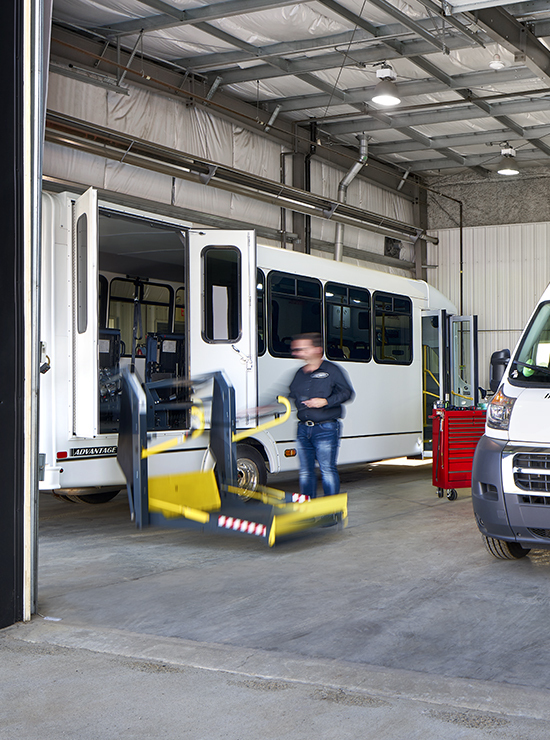 Dynamic has done an excellent job in maintaining our buses through their maintenance program. Not only are repairs done quickly and professionally, it's the little things like picking up and dropping off our buses that have made them a great company to work with. Of space available to us on one and a half acres in Port Kells, BC. We are available 24/7 with our toll free phone line. More than 50% of our staff have been with us for 10 years or more. At Dynamic, we are proud to be an active member of our community. We partner with iconic BC organizations. 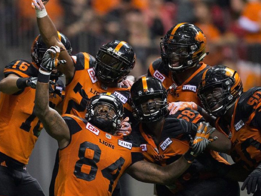 Dynamic has been proud to be a partner with BC Lions with their Draft-A-Player Program. 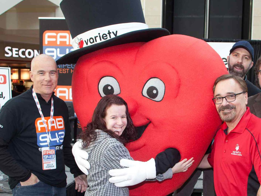 For over 20 years, Dynamic has been involved with the Variety Children’s Charity through their Sunshine Coach Program.